As we approach the centenary of the start of the First World War, it seems that television, radio and newspapers are full of stories about people who lived one hundred years ago - and rightly so. Book shops are no different. So when my eye caught this beautiful book cover in a shop recently, and I read the blurb, I knew that I would have to read it. 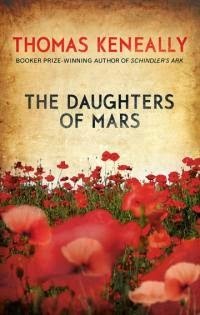 It tells the story of two nurses, sisters in fact, Sally and Naomi Durance, from a small town in Australia, who leave home to do their bit for the war effort in Europe. (The title, with its reference to Mars, the god of war, is very apt and is referred to numerous times in the book.) They are not very close; theirs is a complicated relationship. One had fled the ties of filial duty early on, leaving the younger sister to stay behind with the responsibility of a sick mother to age her before her time. Both saw the war as a means of escape; the similarities between them are there from the very start of the book. 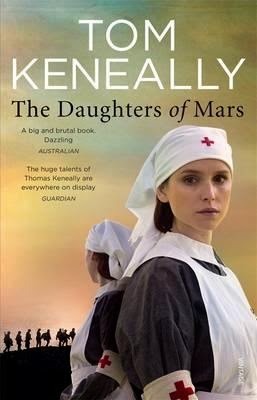 Keneally cleverly uses the sisters to tell the story of the Australian men and women volunteers, as they move from one theatre of war to another. They begin with Gallipoli, and are placed on a hospital ship, and are met with the ceaseless tide of injured and dying from the Dardenelles. Of course, they are not alone, and we are presented with a collection of nurses, from varying backgrounds, along with officers and members of the Royal Army Medical Corps, to give us a more complete view of the war. The reader is left with an anxious feeling that not everyone can survive the fighting; surely some must perish? In that way we are can never rest easy, just as Sally and Naomi cannot. From Turkey and the hospital island of Lemnos, the girls are sent to various hospitals and clearing stations in France and Belgium. Keneally's detailed research allows us to step inside an army medical tent, to witness, at close quarters, wound irrigation and amputation; death by poison gas and hemorrhage. It is, after all, a story about military nurses at a time of war; at times the stench of freshly-spilt blood is almost over-whelming. Yet, there is something about Keneally's narrative style here that keeps us at a distance from the main characters. Perhaps it has something to do with there being two central protagonists, but I always seemed to be at one remove from Sally and Naomi; as if the story were being told second hand. Much of the time, we were told what the characters did, not silently shown for ourselves, to observe and imagine. Keneally also decided not to use punctuation, specifically apostrophes, when people were talking, which made some sections of dialogue difficult to follow. It was more annoying than anything. 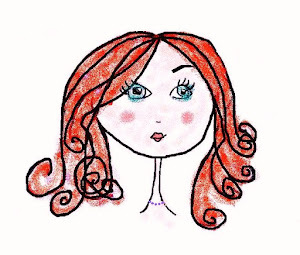 Yet, I felt that it worked well in one section of the story, when the girls are in a dangerous situation, and have to talk to themselves, silently, to get through. Here, I thought, it was interesting not knowing if they were indeed talking to themselves, of if anyone could hear them. In the author's notes, we are told that he used this technique to mirror that lack of punctuation in wartime letters and diaries - but I think that makes little sense - as his book was not a diary or letter, and there were times when the missing punctuation was quite distracting. While I am at it, I might as well comment on another thing that I found annoying, and that was his clear anti-Irish comments in the book. He invents an Irish regiment, made up of foul-mouthed, brutal thugs, and declares at the end of the book, that he invented their part in the story. In fact, it seemed to me, that every time the Irish were mentioned, he either referred to hard-gambling, hard-drinking or ignorant behaviour. He makes up for it, slightly, by creating an Irish nurse, Honora Slattery, who is one of Sally's pals, so he just about gets away with it. What he doesn't get away with is the ending, which I will not give away here, not because it is sad or predictable, but because it breaks the rules of storytelling. It is most unusual, although Dickens played a similar trick with one of his novels. When you read the book - you will know what I mean. I was fascinated by the sheer detail in the book and how much I learned about life in the Casualty Clearing Stations, on baord a hospital ship etc. Keneally deals with the conscientious objectors, the mercy killings, the shell-shock, the cowardice, the bravery, the gas, the injuries, the destroyed relationships and the overall illogical logic of army life. But because of the narrative style, I never came to love the central characters as I wanted to. Knowing the fate of such men and women in real life - it was probably for the best. I remember reading Schindler's Ark, Keneally's most famous novel, as a teenager, and being unable to put the book down until it was read. While he is dealing with another important story from history, that must be told, I do not think that he engages the readers with the same sort of intensity as he did with his earlier novel. However, this is still a book worth reading. It tells a story that must be told and indeed should be read. As nurse Freud wisely comments at one point, 'Their heads are empty of history. Sometimes... people need a history enema'. Enough said.